Private debt funds are portfolios of loans to mid-size companies, or loans made to fund real estate acquisitions. Due to the currently tight and regulated credit markets, many quality companies are unable to obtain necessary financing for projects and expansion and therefore turn to the private debt markets. In addition, current market interest rates for private debt are able to provide attractive returns to investors with a reasonable risk/return profile. Sponsors of private debt funds do their own due diligence and can choose those companies which meet their due diligence requirements and are able to put up the necessary collateral or covenants to qualify for the loan. While private debt funds are not liquid exchange-traded securities and entail particular risks, they operate in the same fixed-income principle as other debt instruments. 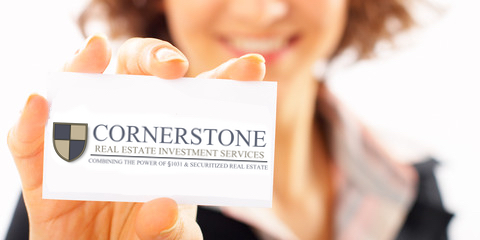 The private debt funds brokered by Cornerstone typically provide attractive cash-on cash-returns, include significant hedges against loan defaults or downside risk, but have limited appreciation potential.